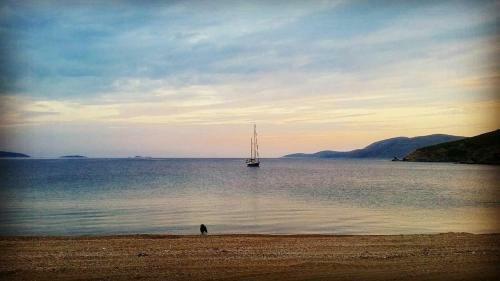 Skyros. 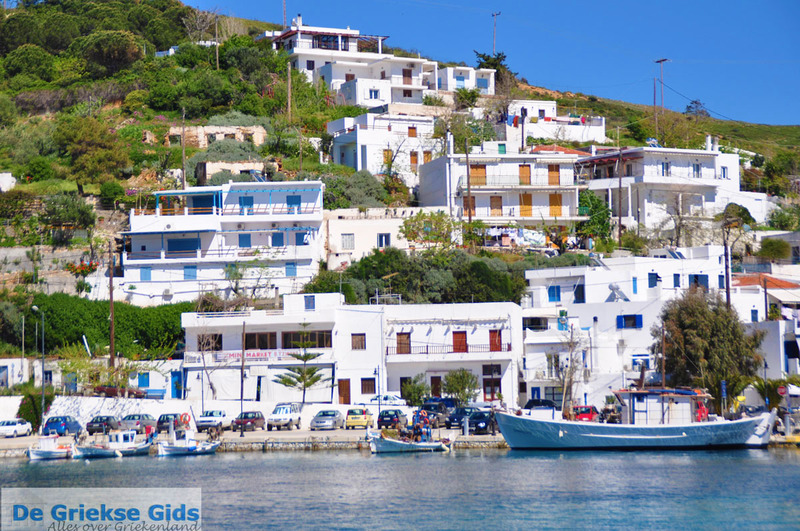 The Greek island of Skyros is located 35 kilometres from Euboea, surrounded by about thirty small islands. 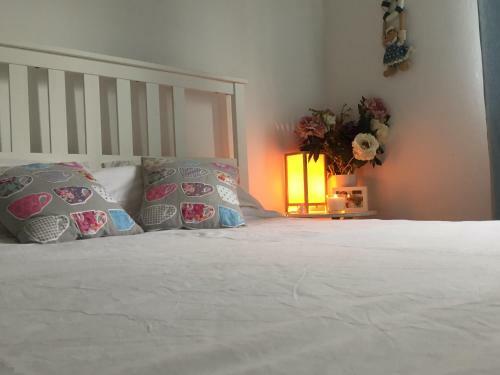 The city of Skyros, also called Chorio ("Village") is located west of the island and about 10 kilometres from Linaria, the port of the island. 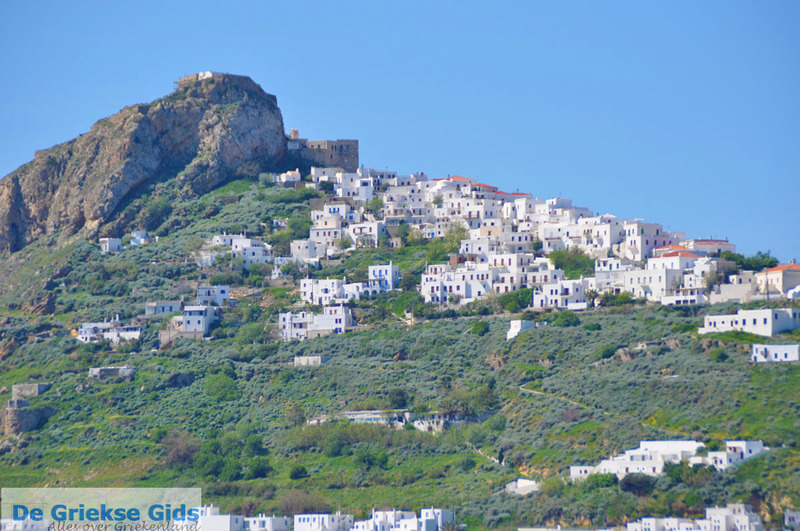 Skyros is an island inhabited since the Paleolithic period. 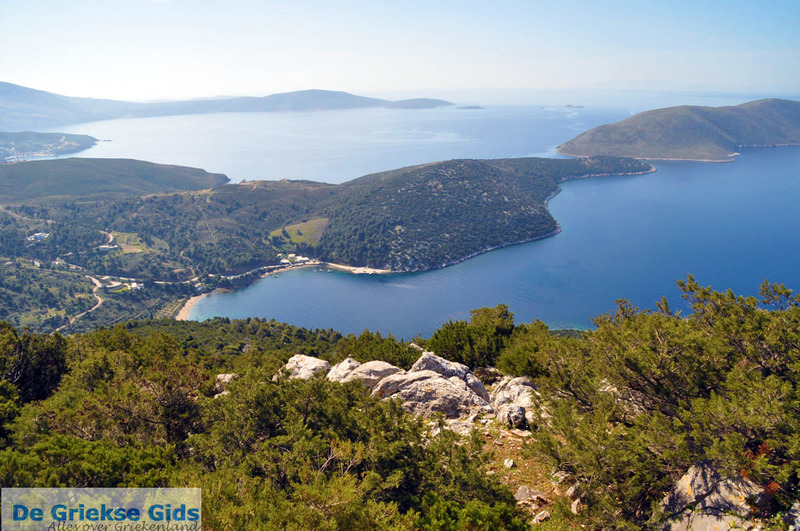 It covers an area of 209 sq.km.and is the largest island of the Sporades archipel. 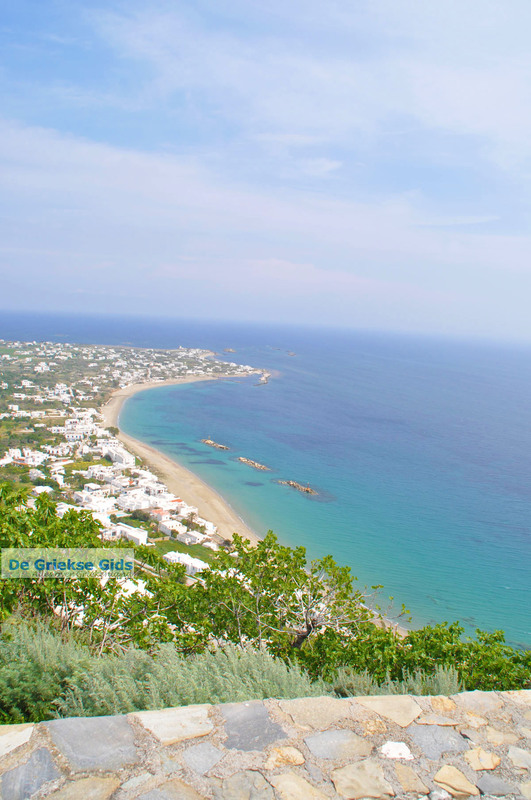 Skyros is known for its beautiful beaches, like those of Kalamitsa, Agios Fokas, Molos and Magazia. 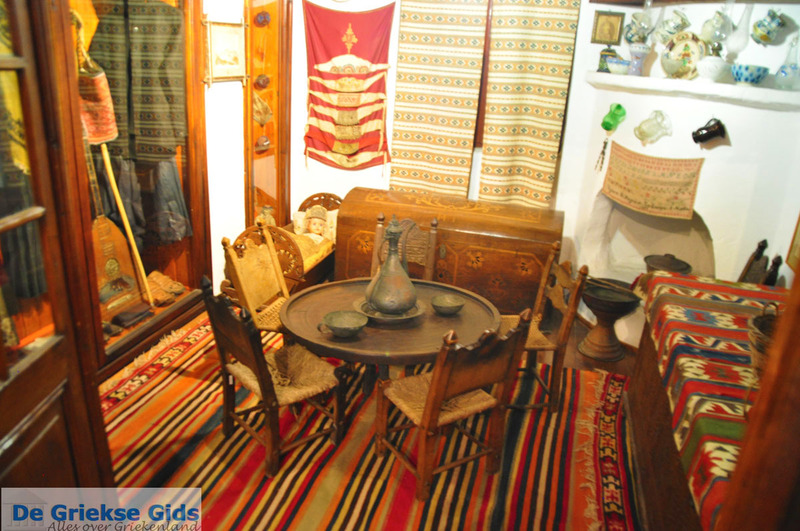 Skyros is the least touristy island of the Sporades,the consequence is that the traditions are well preserved. 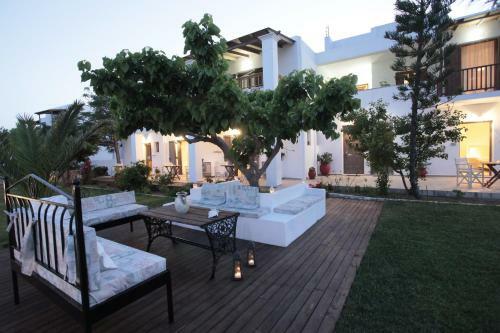 But there are not only beautiful beaches,here but also lots of culture and archaeological sites. The old buildings of Palamari and Markesi are the best preserved examples. Furthermore, the old churches are worth visiting as is the Archaeological Museum too. On this island exists a unique breed of miniature horse. Previously, there were thousands, but today there are about 150 of these left and they are protected by the Greek state, but also by the residents of Skyros itself. 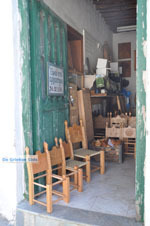 Skyros Town is a fantastic town, or rather a "village". 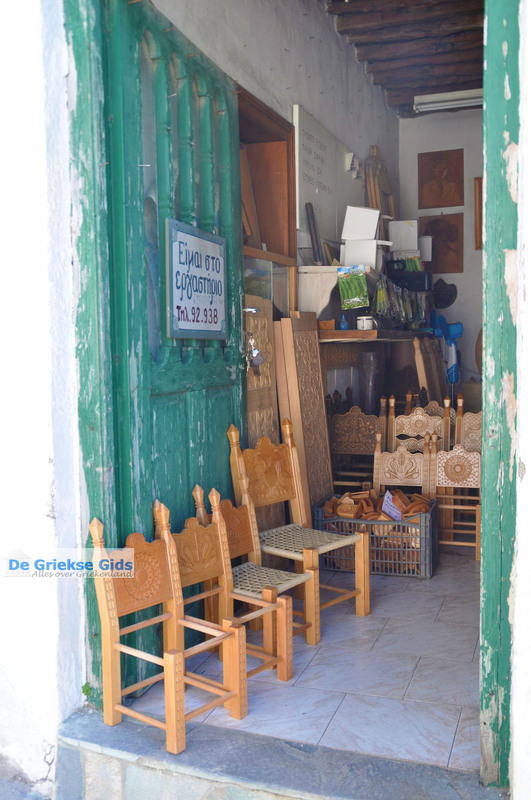 The whitewashed houses remind us of a Cycladic island.The narrow streets are charming, it is worth walking here. There are some lovely shops, restaurants and cafés. 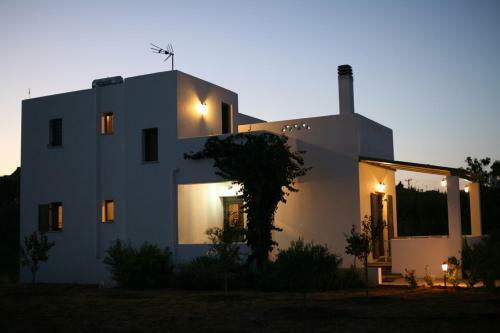 Skyros has been inhabited since the late Paleolithic period. The first inhabitants were the Kares, the Pelasgians and Dolopes. Later came the Cretans, then the Athenians (468 BC). 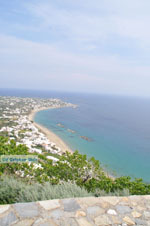 Skyros has close kinship with the Trojan War and the death of Theseus. According to a legend, Theseus would have been pushed down on the rocks by King Likomides when he sought shelter here. 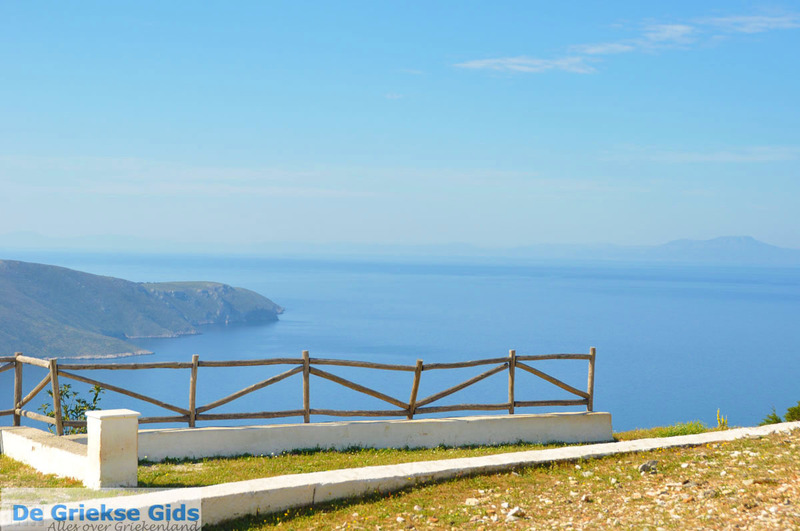 If you are in Skyros you should definitely climb the rock hill, the view down is breathtaking. When in 468 BC the Athenian General Kimon occupied the island he discovered the tomb of Theseus. He took the bones of Theseus and brought them to Athens (The Theseon). According to another legend, the goddess Thetis would have disguised her son Achilles in the gardens of Likomedes by dressing him as a girl. Then he would not be recognised amongst the daughters of Likomedes and would not be found, so he could escape the Trojan War. Thetis knew that her son would die.Still he was discovered by Odysseus who took him. The fleet of Achilles left from the Bay of Aspous heading to Troy. During the Byzantine period, the island fell into disrepair and was merely used as a place of exile. 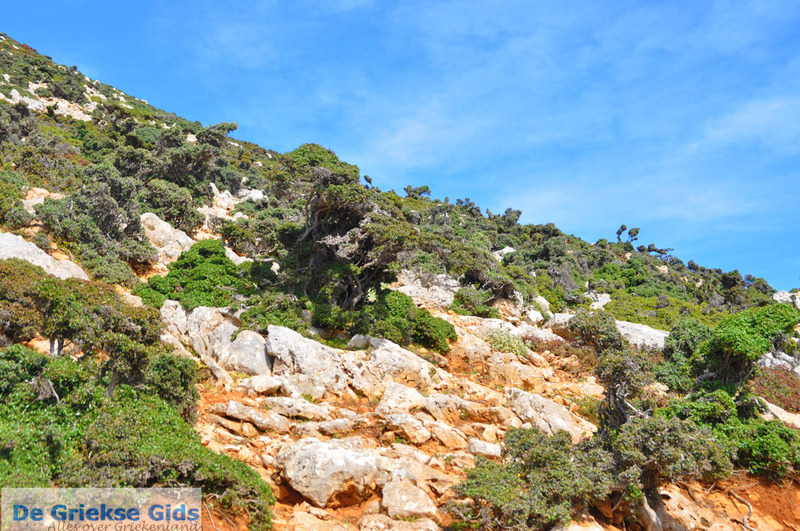 Skyros was also a place where pirates took shelter. Later, the island came into the hands of the Venetians, and later to the Turks until the early 20th century when again it fell into the hands of the Greeks. The Monastery of Agios Georgios (originally founded by the Byzantine Emperor Nikiforos Fokas) near the castle. 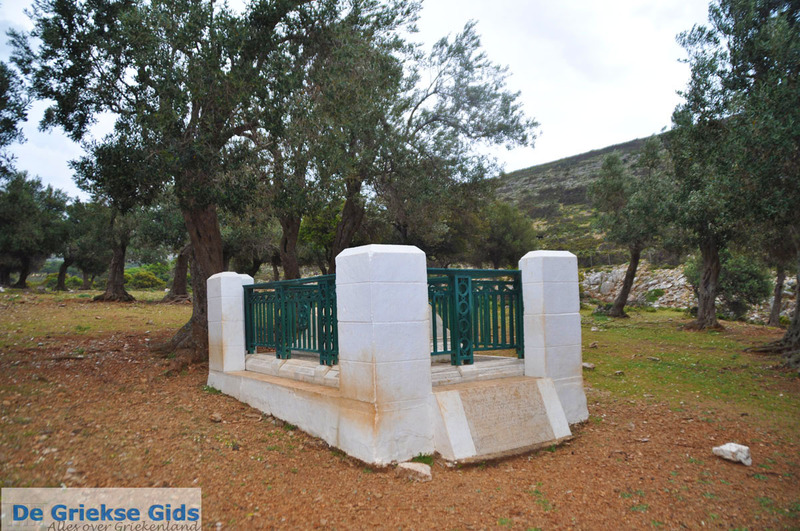 The Rupert Brooke Square: Rupert Brooke was a famous English poet who died on Skyros. The church of Agios Nikolaos in Pouria. The prehistoric settlement of Palamari. Treis Boukes: a bay at the entrance two small islands in the south of Skyros. 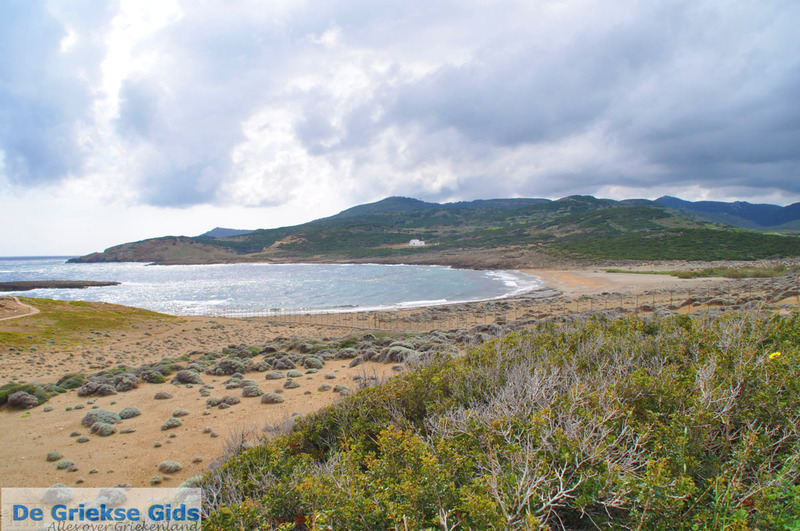 Gyrismata is the most popular beach of Skyros. Agios Petros Beach in the north of the island. Carnival Celebration of Skyros in Greece is very famous. Each year, thousands of people from all over Greece visit Syros to celebrate. 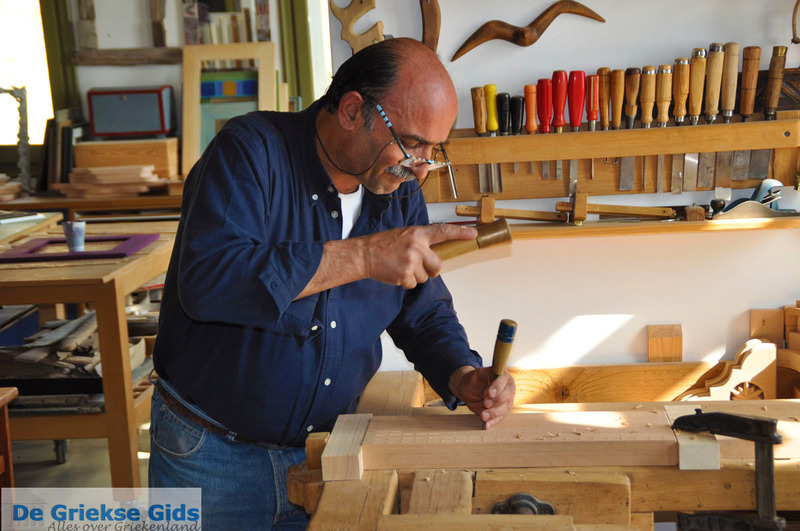 The Carnival festivities are marked by dressing up as an old man (Geros) or men dressing as a girl (Korela). 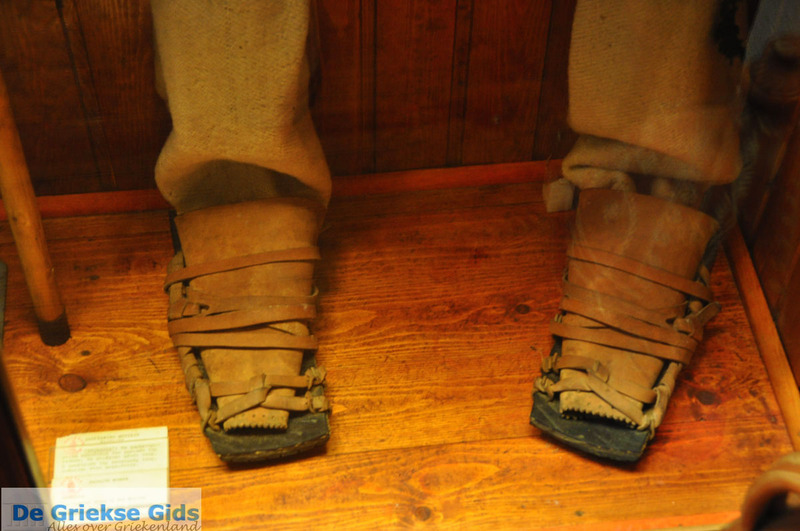 According to legend, Achilles also dressed as a girl and has been hiding here, just before the outbreak of the Trojan War. 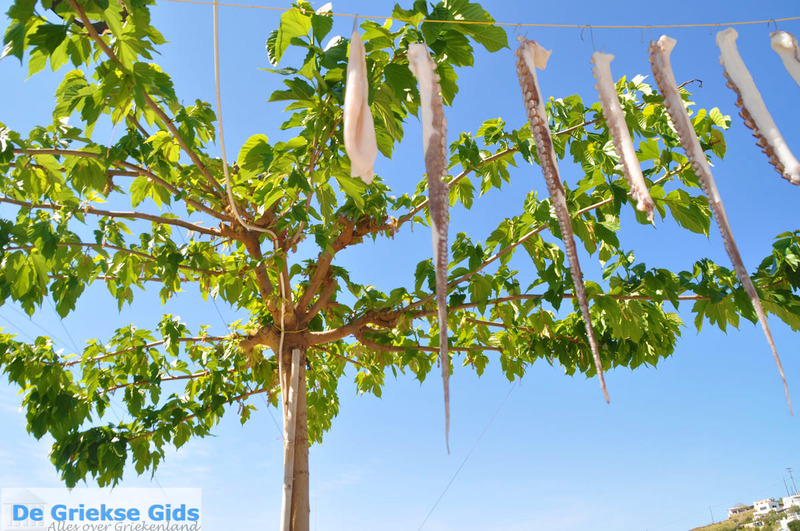 On Clean Monday (the beginning of Lent) almost all residents wear traditional costumes and meet in the center of Skyros town to celebrate this day. There is an airport serving domestic flights. 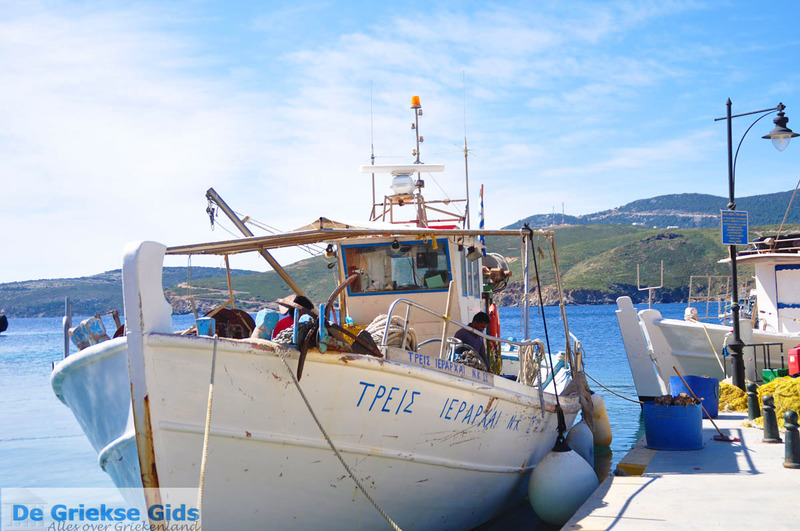 Skyros is also connected by ferry with the ports of Kymi (Euboea), Alonissos, Skiathos, Skopelos and Volos. 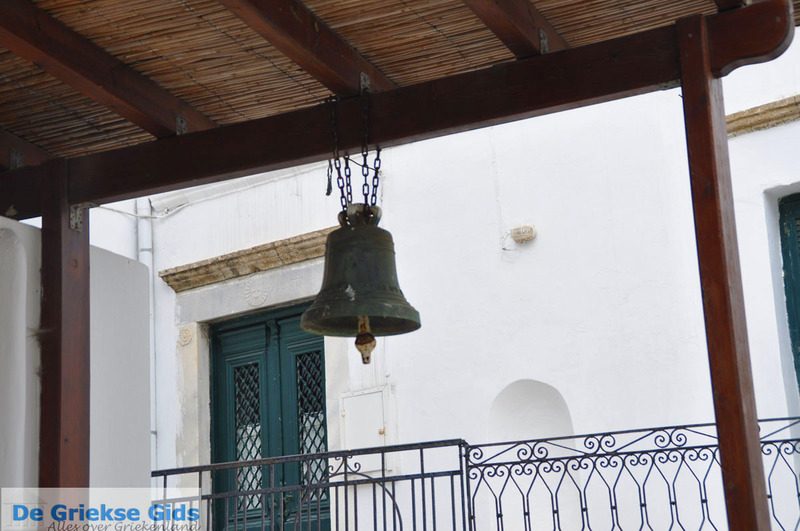 Skyros: Where on the map is Skyros located?